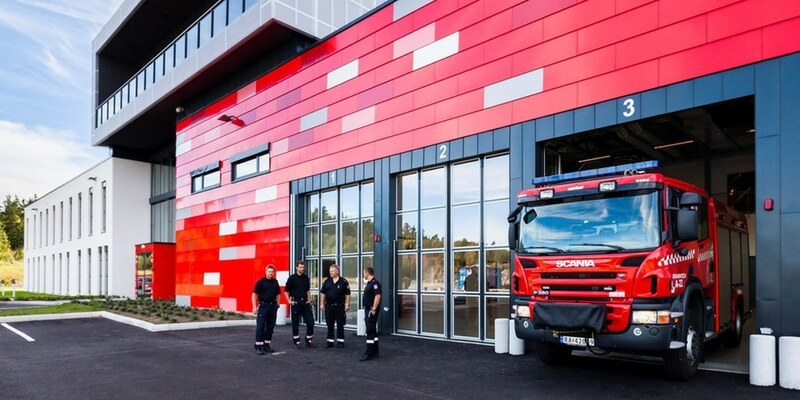 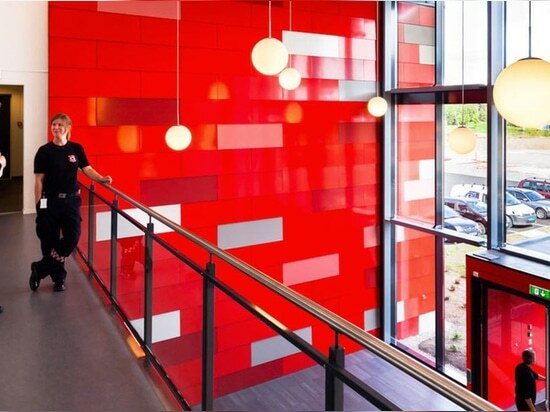 News & Trends> Industry News > Public buildings > Steni > ARENDAL FIRE STATION, NORWAY’S FINEST! 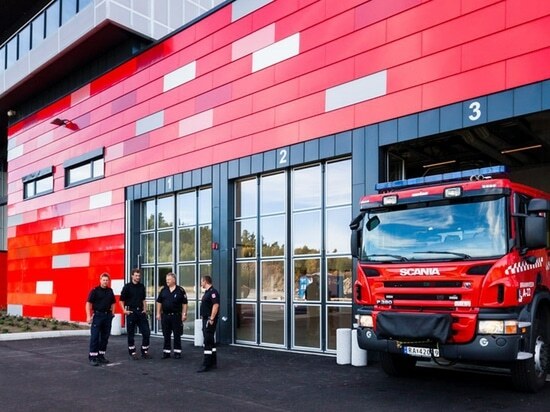 ARENDAL FIRE STATION, NORWAY’S FINEST! 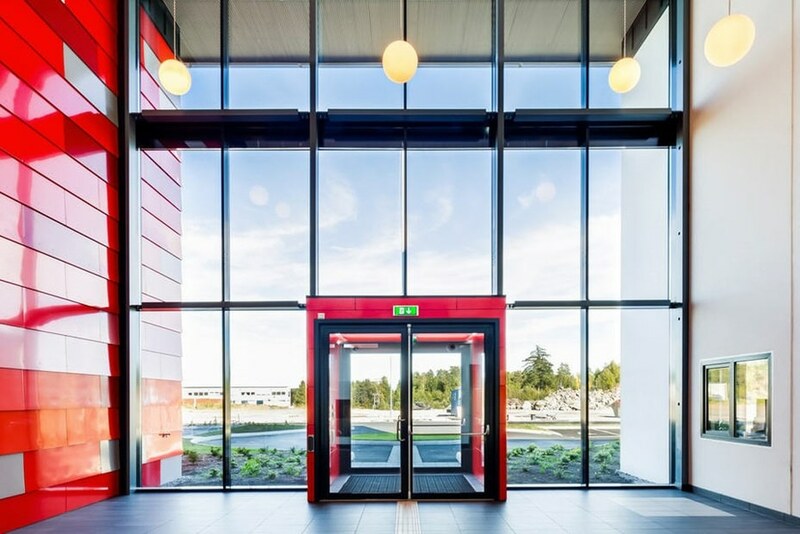 According to Chief Fire Officer Hans Henrik Bakke, the new fire station at Stoa is Norway’s finest, most modern and best equipped fire station! 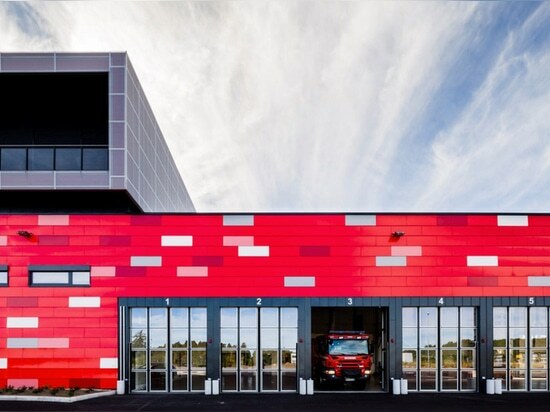 The new fire station includes workshops, a carwash for large vehicles, rooms for high-pressure cleaning of equipment, bedrooms for firefighters on standby, a kitchen, a hose maintenance room, a gymnasium and even its own conference hall and climbing wall! 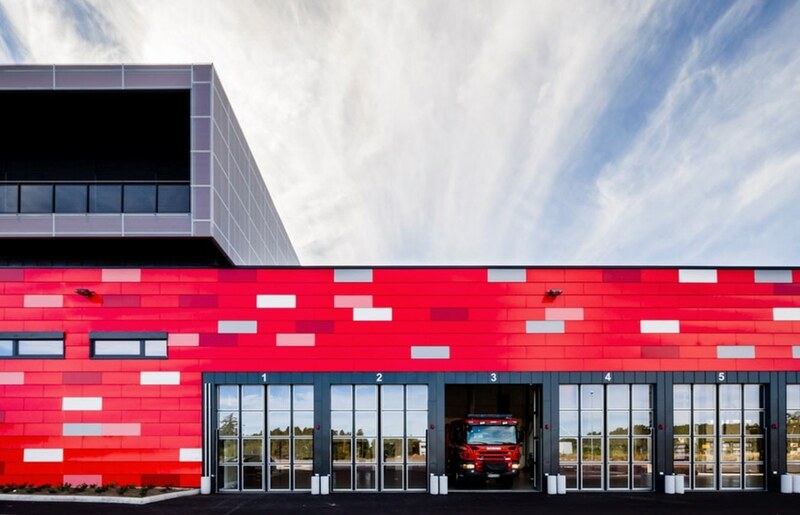 Both the local council and the fire service wanted the new station to be a signature building. 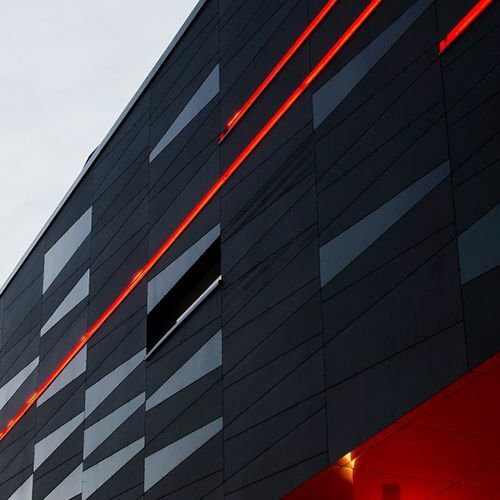 With bright red Steni panels covering the long garage, no one can be in any doubt about who this building is home to. 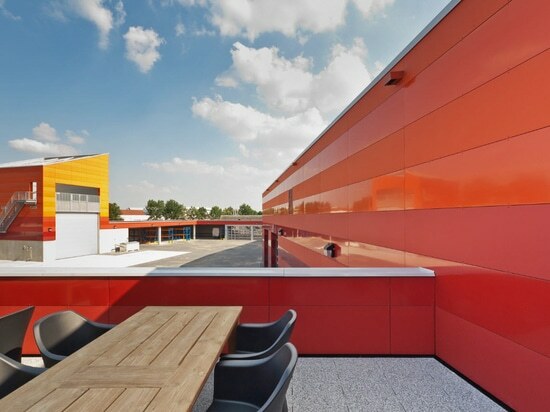 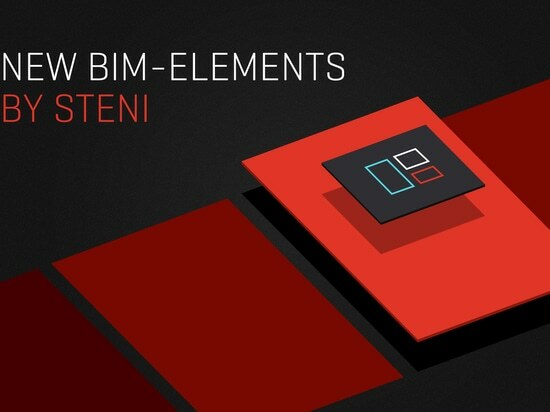 “When it comes to architecture, we believe that you should be able to understand the functionality of a building based on its form, function and materiality, and that the various functions within the building volumes should be apparent in the architecture. 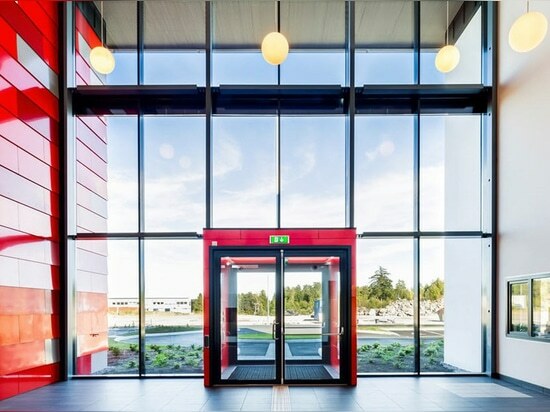 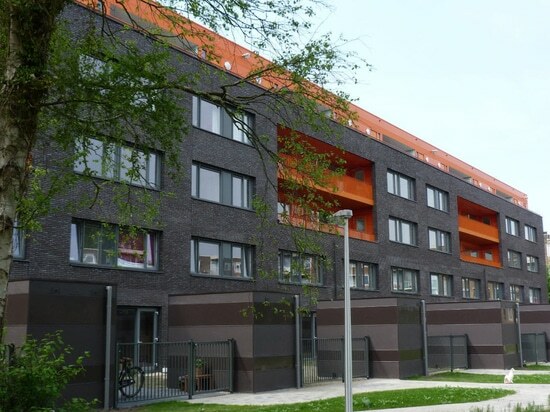 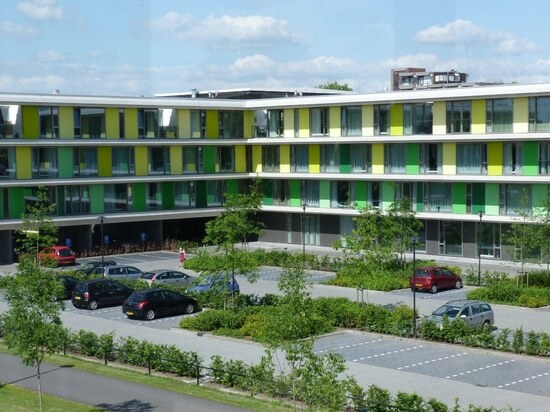 We believe that we have achieved that here,” says architect Anders Crogård from the architecture firm LINK Arkitektur .